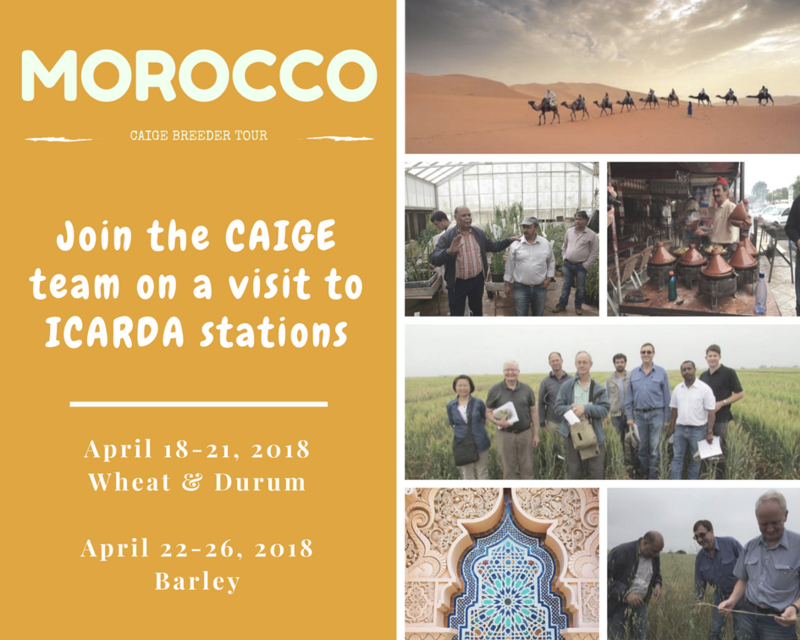 The 2018 Barley CAIGE tour of ICARDA in Morocco 2018 is being organised by Dr Ahmed Armi and Dr Ramesh Verma. Participants will need to arrive in Rabat on Sunday 22nd April (transfers can be arranged from Casablanca to Rabat if required), where we will stay for three nights. On Monday 23rd we visit the Marchouch experiment station (main testing site for all spring barley), and Tuesday 24th will visit Sidi Allah Tazi, where germaplasm is evaluated under high leaf rust pressure. On Wednesday 25th we will travel to Annoceur station, where spring and winter barley materials are being evaluated for disease and cold tolerance, and stay overnight in Fez. Thursday 26 will return to Rabat for meetings to review selected germplasm, and discuss future of collaborative activities. Participants will be able to either stay overnight in Rabat or catch an evening flight out of Morocco. 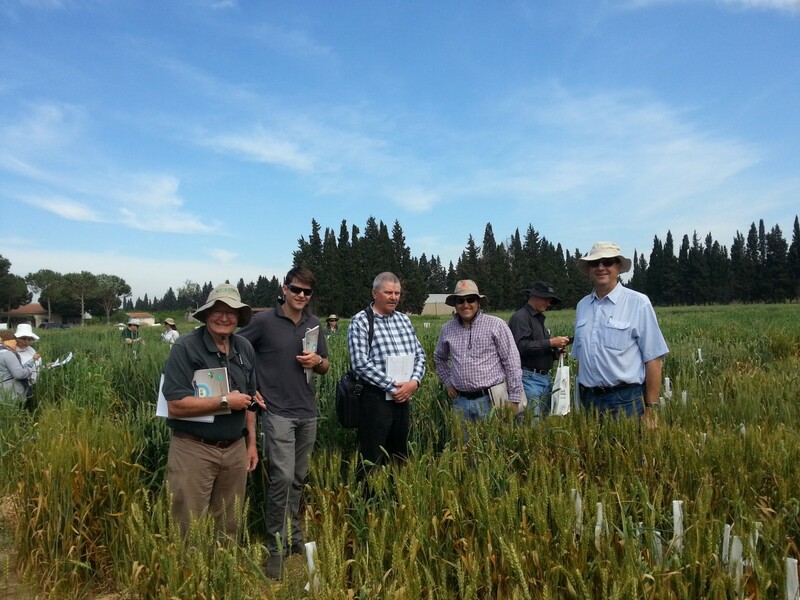 The trip to Morocco with the wheat and barley breeders from 22 to 28 April 2015 has been a most educational and enjoyable working trip. The hosts, Dr. Tadesse Wuletaw and Dr. Ahmed Amri was most hospitable, friendly and warm. Livinus and I accompanied the wheat breeders in their selections for the first 2 days at Merchouch Experimental Station. The commentary provided by Dr.Ian Edward and Dr. Richard Threthowan as we moved through the plots gave insight into what breeders are looking. 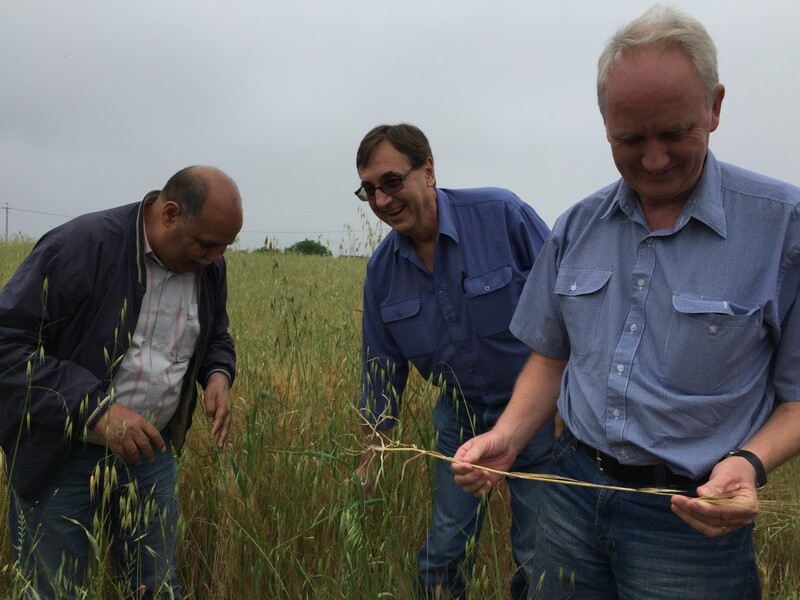 The next day, Dr. Mustapha El-Bouhssini, an eminent entomologist working on Hessian fly and Sunn Pest accompanied us (together with the barley breeders) to Jamaat Shaim Station in the South to look at screening plots for Hessian fly resistance. He taught us how to diagnose a wheat plant infested with the nutrient-sucking instars (larvae) of Hessian flies. We saw the devastation caused by Hessian fly particularly when wheat was planted late. We spotted a few resistant cultivars growing well in these fields and they are thus the resistance sources we are seeking to incorporate in our pre-emptive breeding program. We were also able to see some Sunn Pests, another exotic insect cereal pest, feeding on some wheat plants in a few plots. 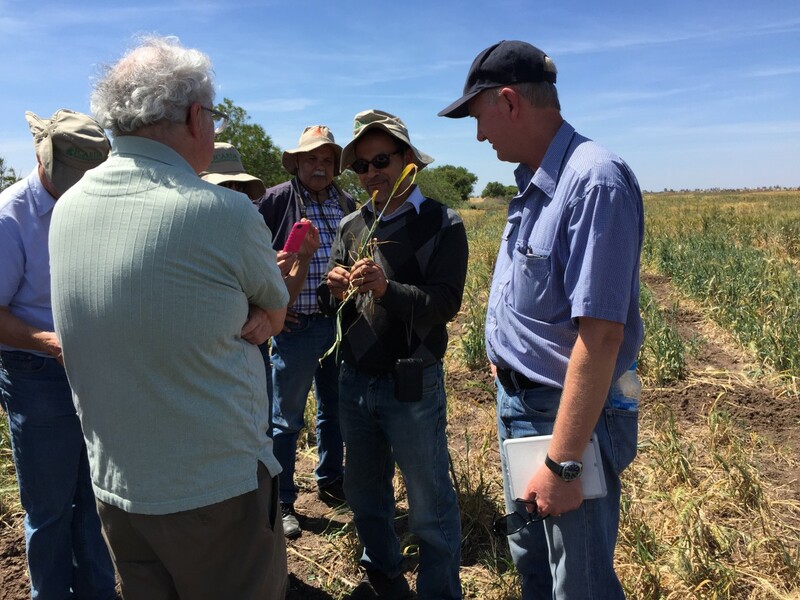 On the final day, both groups met at Setaat Experimental Station where Dr. El-Bouhssini showed how he conducted the phenotyping of Hessian fly resistance/susceptibility in wheat in the greenhouse. 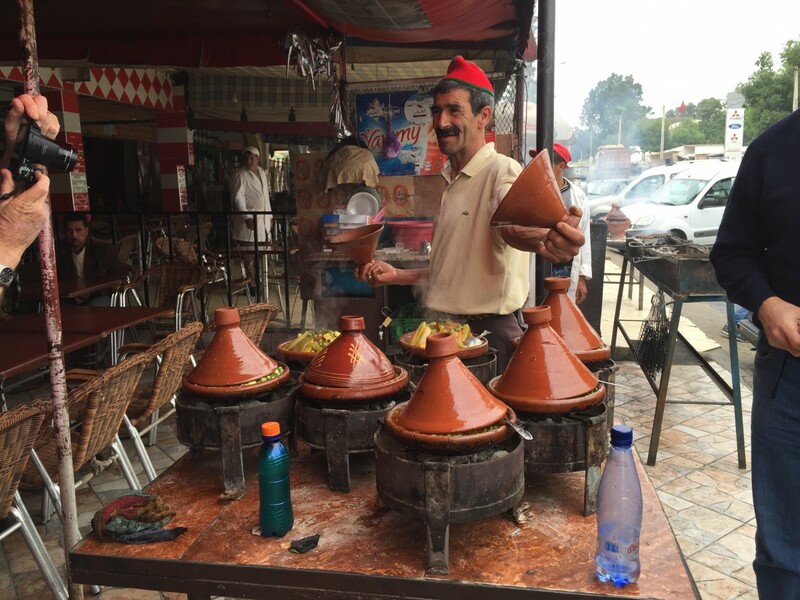 I left the country with images of tagines and a nice Moroccon tan.